Inclusive education has become a phrase with international currency shaping the content of conferences and national educational policies around the world. But what does it mean? Is it about including a special group of disabled learners or students seen to have 'special needs' (them) or is it concerned with making educational institutions inclusive, responsive to the diversity of all their students (us)? 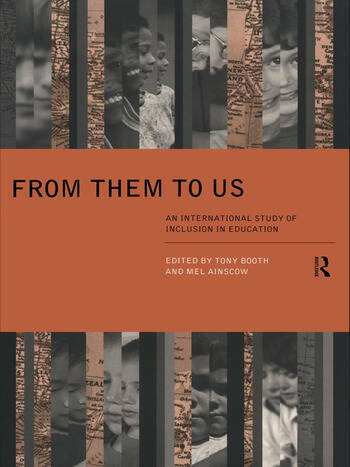 In this unique comparative study, the editors have brought together an international team of researchers from eight countries to develop case-studies which explore the processes of inclusion and exclusion within a school or group of schools set in its local and national context. The study includes classroom observation, the experiences of the school day of students and interviews with staff, students, parents and school governors. Through an innovative juxtaposition of the case-studies and commentaries on them, differences of perspective within and between countries are revealed and analysed. The study arose from a dissatisfaction with previous research, which presents 'national perspectives' or seeks findings that have global significance. This book avoids such simplification and draws attention to the problems of translation of practice across cultures. The editors start from an assumption of diversity of perspective which like the diversity of students within schools can be viewed as problematic or as a resource to be recognized and celebrated.